One of the biggest developing trends in kitchen design, open shelving provides a lighter, more streamlined look than traditional cabinetry. But is it the right choice for your kitchen? Here a few things to consider. These days, a lot of homeowners are trading kitchen cabinets for open shelving, and there are some great reasons why! First off, open shelving makes it simple to find what’s needed, something that’s especially convenient if you often host guests in your kitchen. 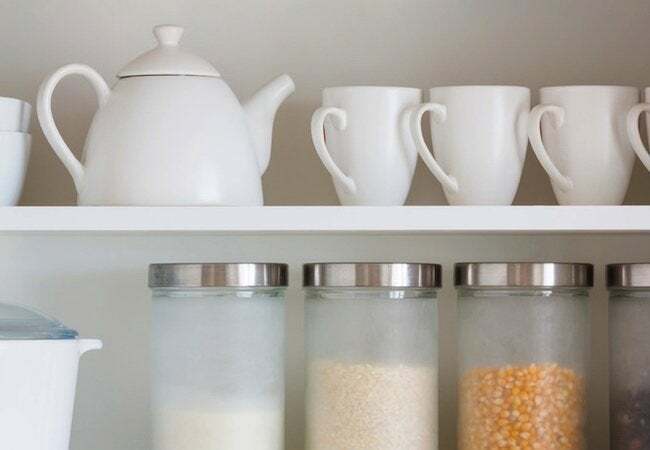 Transitioning to open shelving also enables you to proudly display items you cherish, be it your grandmother’s china or all those cool coffee cups you’ve been collecting for years. Open shelving can make your kitchen look bigger too—never a bad thing. And if you’re on a tight budget, shelves are easier on the wallet than cabinets. Best of all, if you’re not sure you want to make the switch, there’s an easy way to test the look. Remove the doors from your cabinets and leave them off for a few weeks. If you’re not happy, simply reinstall the doors. No harm done!